Are you a travel nurse in the San Francisco Bay area? There are literally hundreds of good reasons to look for a travel nursing job in this beautiful part of California. You could do four straight 13 week travel nursing assignments and go somewhere every single weekend and still not see everything this world class area has to offer. 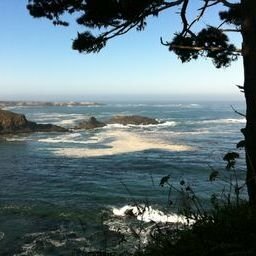 One of those great places to visit is Mendocino, a beautiful somewhat secluded area about two hours North of “the City” (as San Francisco denizens call it). It is a fantastic drive through part of the “wine country” and as you approach the coast you begin to drive through huge stands of majestic redwoods. You can stop for a taste of wine in the famous Anderson Valley….a favorite of mine is the Navarro Winery…and before you know it you burst through the trees onto a magnificent, rugged coastline. 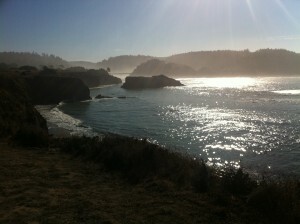 Mendocino is sitting right there on the bluffs looking over the Pacific. It is very quaint with many top notch restaurants and affordable Bed and Breakfasts, lots of art for sale from the locals, and great hiking trails amongst the redwoods. It looks like a village from the Northeast and in fact, the television show “Murder She Wrote” was filmed here. Another famous local story is that the Alan Alda movie “Same Time Next Year” was filmed here. (Every hotel and B&B seems to have a copy of it, lol). I took this picture early one morning in the Fall while taking a short hike practically right downtown! What a beautiful place! There are often travel nursing jobs in nearby Ft. Bragg and of course many, many travel nursing jobs in San Francisco. This is just a hop, skip and a jump from there. 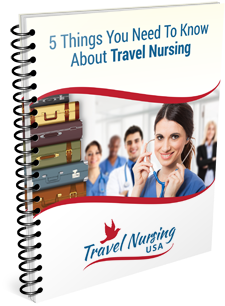 If you would like to get my latest Free Report and request information on getting a travel nursing job here (or anywhere else) head over here and give me your email.